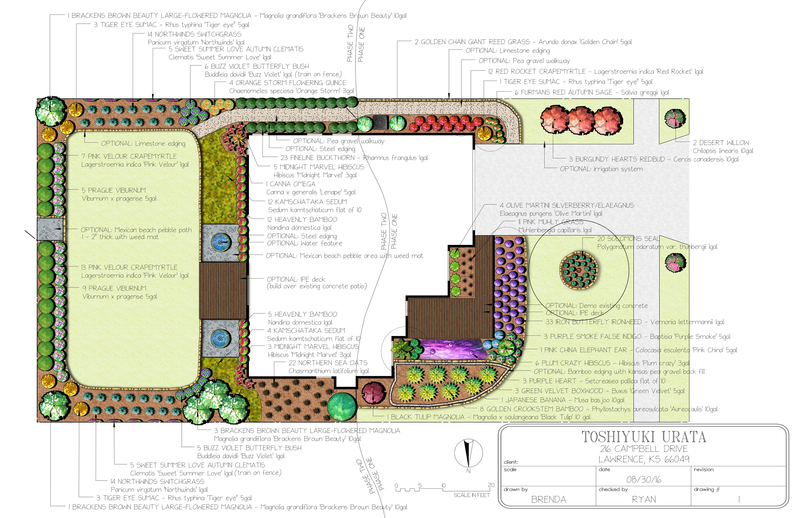 WHY DO YOU NEED A LANDSCAPE PLAN? To see ideas on paper before agreeing to spend money on vague ideas. To make changes if necessary make revisions before construction is started. To avoid making costly mistakes and accidental out of order construction. To have a scope of work with a defined budget: working within the budget. To allow the option for future expansion if needed. 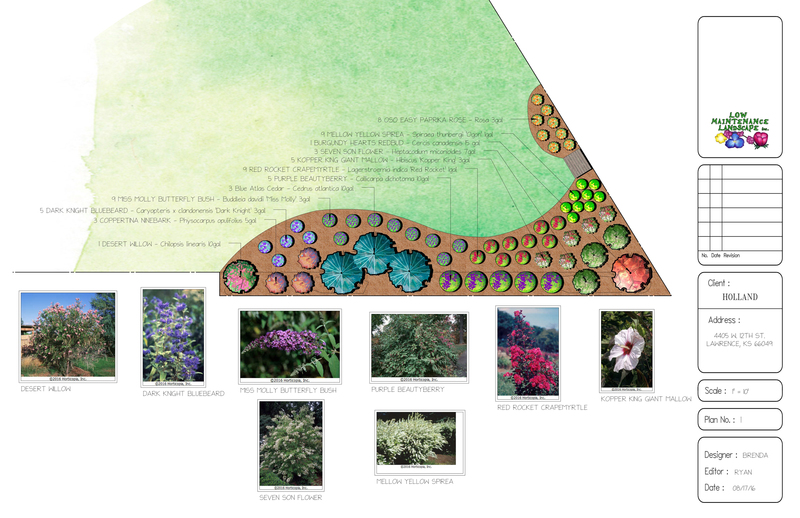 To compare “apples to apples” if getting other landscape plans. To have a clear work proposal / contract guaranteeing work will get completed. To understand where your money is going; what it’s actually paying for. 1. Initial site visit / consultation: There is no charge for this initial 30 minute consultation. This is an opportunity for us to get to know each other better. We will discuss your project with you in order to get an idea of the scope of work and your project goals. We would likely ask questions about the history of the site and how you plan to use your new space. During this meeting, we ask a series of questions that will help develop the design. In addition, we ask that you have completed your design questionnaire and considered your budget. The more information you provide, the faster and more efficient the process. 2. Site measurements and photography: We collect all the information required to develop a base map for the property. We document all existing conditions such as existing plantings & trees, structures, utilities, drainage, sun exposure, wind, soil type, weed problems, views and sight lines, etc. with digital photos. 3. Base map: All of the site measure information and existing conditions are computerized and entered into our Dynascape CAD program. Blank plans are then printed out and prepared for the designer. 4. Concept Drawings: With pencil and paper, the designer brainstorms a concept plan. 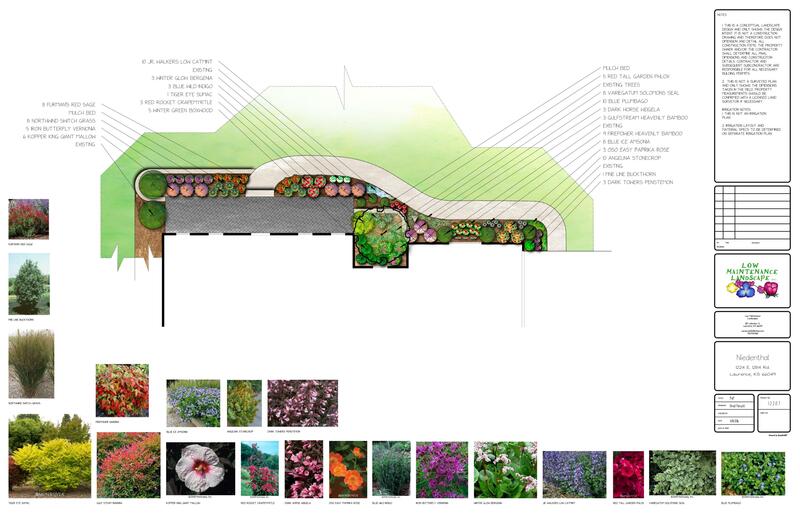 Existing site pictures are reviewed, planting bed areas are proposed, plants are selected and hardscape designs are drawn. The plan is then computerized, estimated and prepared for presentation. 5. Final Design Presentation: The final design consists of 2 black and white and 1 full color DynaSCAPE design. 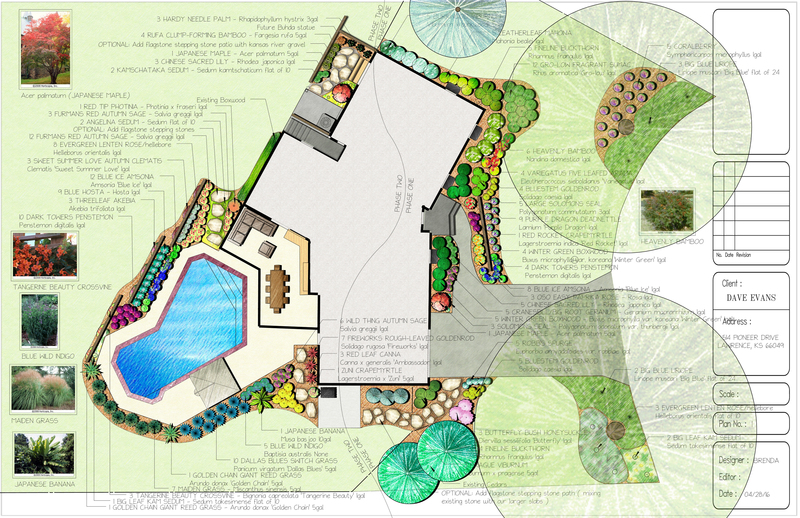 Our beautiful full-color design provides a photo-realistic birds-eye view of your proposed landscape! Detailed contracts are presented along with the design to install all the proposed work; or in phases if desired. 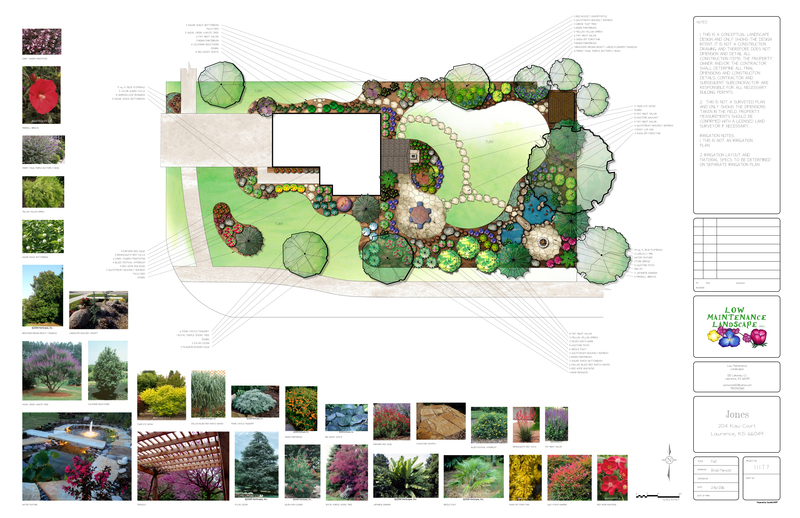 Our final plan always includes the following important information: plant locations, plant size, plant quantity, plant symbols, existing plants, hardscape layout, sidewalks, patios, decks, roads, utilities, house or other permanent structures, north arrow, drawing scale, ect. One free red-line revision is included if needed. An optional meeting at our display garden is available if you want to see nursery plants or samples. We will be able to start your landscape design when we receive your design contract, $250 or_____ deposit and design questionnaire. The designer will spend a considerable amount of time dedicated to your project; usually 10-20 hours. We normally can finish a design within 2-4 weeks. However, during busy times of the year this process can take longer. The remaining portion of the design invoice will be due upon presentation or receipt of the completed design. We hope that you also choose to hire us to install your landscape project! If you do, a prorated portion of this fee is refunded in the form of a discount off the normal contract price. Look for “design fee refunds” and notice that it has already been subtracted to arrive at your “grand total” price on the contract.